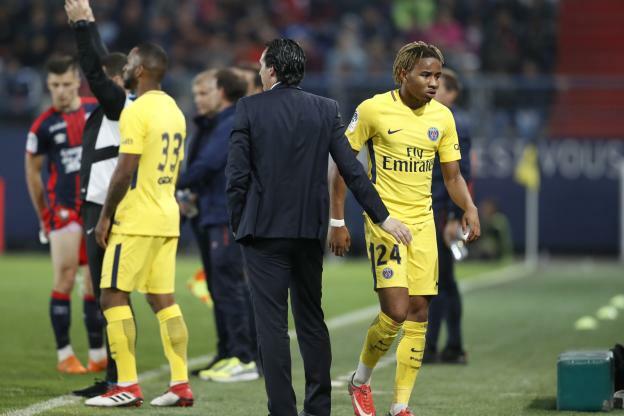 According to the Metro, Arsenal are in negotiations with Paris Saint-Germain trying to thrash out a deal to sign Christopher Nkunku and the midfielder is keen for the move to go through tonight. We’ve snapped-up Denis Suarez on loan from Barcelona but Unai Emery wanted to bring in two players this month if possible as he looks to bolster our attacking options for the second half of the season. Proposed deals for Ivan Perisic and Yannick Carrasco has proved fruitless as we’ve been unable to agree deals with their clubs so it’s been widely reported that Arsenal have been focussing their attention on striking a late deal for Nkunku. It seems negotiations are on-going as the Metro claim today that Arsenal are still in talks with the French champions trying to thrash out a deal and Nkunku is reportedly keen for a move to be agreed. However, our hopes of striking a late deal have been boosted as the Metro claim PSG are close to signing two midfielders which would pave the way for Nkunku to join Arsenal on loan. The Ligue 1 giants are reportedly on the verge of signing Luciano Acosta from DC United while a £21m deal for Lille’s central midfielder Thiago Mendes is also in the works, according to the Metro. Spanish expert Guillem Balague also suggests that if Acosta completes his proposed move to PSG then it will pave the way for Nkunku to head to Arsenal. We’ll have to see how these deals progress over the coming hours but the clock it ticking and we’re running out of time to get a deal over the line before the window shuts at 11pm. However, Nkunku would be an exciting signing as he’s able to play in central midfield or on the wings and Emery obviously knows the 21-year-old well from their time together in France. Let’s hope we can get it done.